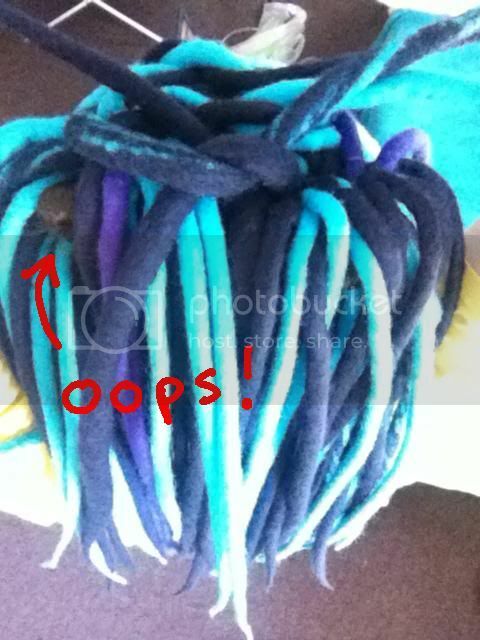 I made a handful more dreads, split the lot into two, elastic'd them up to make loops and threaded them onto some big wide shoelaces I found, et voila! A pair of dreadfalls! I think I have a total of about 40 DEs now. .... however. I don't think I quite have the hang of it yet hope I'd fiddled them into better coverage than this before going out!!!! How do I fix this? Flatter buns? More fiddling about/dread-pinning/crossing over/tying? 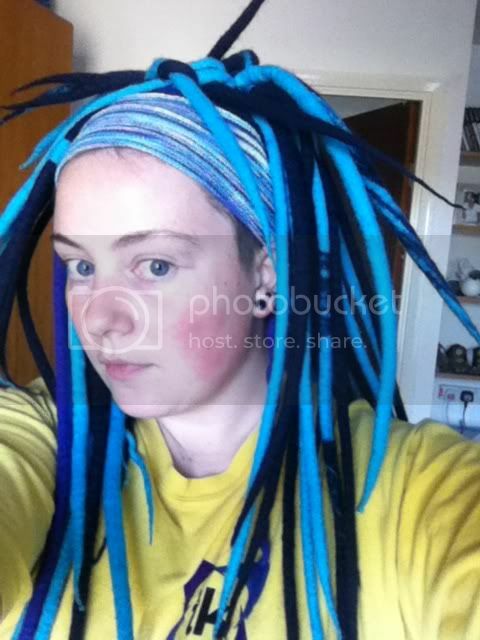 More dreads? Different placement? They look good!! I'd say try to get up to 60DEs, that'll be 30 on each side and will look great. Do bun covers do much? My buns are kind of small and slippery. By the way, is it common to get a headache from the added weight? Yeah, a head ache can happen. Whenever I wore falls I'd pin them to DEATH in order to make sure there were no tell tale gaps. Oh & some people recommend covering buns with lace, tights or wrap a single dread around them for more grip. I suggest bun covers from my limited experience with hair falls. I always got headaches with falls, even very light ones, so never wore them much. I find installs much, much comfier.